Backlinks are not just nice to have. They're essential to generating real search engine optimization (SEO) value. Not only do they drive more traffic to your site, but they also increase your overall page authority and trustworthiness. Search engines reward websites that earn links from high authority resources. In fact, Google's search quality senior strategist, Andrey Lipattsev, said that links and content are among the top three ranking signals. This makes sense because both of these go hand in hand. Great content delights readers and boosts website authority. Some of those delighted readers might share this awesome content to their followers, which further improves authority and, therefore, ranking potential. However, not all backlinks are created equal, and many sites struggle with increasing their number of links on other sites. Backlinks earned from helpful content that appear on authoritative sites are more likely to bring in sustainable traffic that grows along with your business. When building backlinks, you should also know what not to do to prevent being penalized by Google and other search engines that could send you plummeting in the page rankings. Here are 12 tips you need to use to build awesome backlinks for your website. Before building backlinks, review the Google Webmaster Guidelines. This is your best resource for learning about what constitutes high quality links and which practices to avoid. Google cracks down on spammy and low-quality links with changes to its search engine algorithm. For example, its famous Penguin updates downgraded sites that participated in link buying or questionable link networks. Pages lacking in original content or very little content. Text or links hidden within a page, such as text in font size 0. Cloaking or deliberately deceiving search engines and users. Stay away from these deceptive practices and any sites that also perform them to avoid links being labelled as spam. Techniques mentioned above are considered noncompliant in the Google Webmaster Guidelines. When you don't play by the rules of the big G, they might take action against your site, which hurts your page rankings. If Google finds you in violation of its guidelines, you will have to submit a reconsideration request that indicates you have fixed issues regarding noncompliance. Then, you wait for Google to respond to your request. In the event your initial reconsideration request is rejected, you’ll have to file another request. But your goal in building backlinks should be creating high quality and natural links to steer clear of penalties altogether. What if your website is doing everything right with creating great content, but you get linked to from other sites that are filled with low quality pieces and spammy links that cause you to be punished? Unfortunately, this can hurt your SEO efforts. But you don't have to stand back and let these sketchy webmasters slow your progress of climbing the ranks. Disavowing backlinks allows you to avoid being associated with spammy third-party sites that only serve to bring down your rankings rather than providing high-quality backlinks. Google explains how to disavow backlinks so they do not impact your rankings. You’ll want to identify which sites to disavow backlinks, make a file with this list, and upload it to Google Webmaster Tools. While you think you may have exhausted all your ideas for content, there are always new content opportunities that you haven’t explored that could generate hundreds more in backlinks. However, being aware of and finding content gaps in your site is the challenge. You have options for researching gaps in site content that can be quite extensive. For example, you can perform a full audit of your whole website using SEO tools. When you find gaps, you can develop awesome new content ideas that will deliver a lot of value to your readers and eventually earn backlinks. When pinpointing your content opportunities, utilize keyword research tools for your current keywords first, measuring rankings for pages that have target keywords and the monthly search volume for these words and phrases. After finding out where you stand with your current target keywords, search for related keywords. These will unlock content opportunities you may have not thought of. These new keywords should have a high search volume (such as 1,000 per month), but not have too much competition in search engine result page (SERP) rankings. This way, you can generate content surrounding these keywords and boost your site traffic. Competitive analysis sheds some light on exactly how your industry peers are positioning themselves and their messaging. You can assess their content strategy on their home blog, social media platforms, email newsletters, and everything else in between. There are plenty of tools that make this process a lot easier. You can conduct a domain comparison report, for example, to see how your backlink profile stacks up against your biggest competitors. Obviously, as you build out your content, you're not just writing random articles and hoping it works. You likely have a documented content strategy. If you don't have one, you need one. The top benefits, according to marketers using a documented content marketing strategy, include alignment within the team around a common mission and goals and a simplified approach to determine content types to create. The best approach to content strategy involves topic clusters. You simply select a broad topic, then list out relevant subtopics that are more specific but fall within the broad topic. You create a pillar page, a comprehensive resource covering the broad topic in detail. This is a long form piece of content that you then link out to shorter form pieces focused on specific subtopics. The subtopic content and pillar content link to each other. This makes it easier for your readers to find more information on related subtopics, and it also signals to search engines that a semantic relationship exists within the entire topic cluster. This helps you create more content that can be shared and linked back to from your readers. While they shouldn’t be direct competitors to your site, earning backlinks on similar websites can help you increase in page rankings, especially if they are authoritative sites. You can use free tools like Alexa to find out the popularity and rank of a number of sites on country and global levels to start a list of websites to target for backlinks. Pay attention to key metrics that suggest whether sites will actually be useful for increasing backlinks and page rankings. For example, newspapers like The Washington Post have high authority with this particular news outlet currently ranking at 70 in the United States for popularity on Alexa. Using tools like Alexa that provide insight on demographics, engagement, and traffic will narrow down the sites that have the most impact in generating and keeping backlinks for your site. Now that you know which sites will be effective for backlinks because of their authority and traffic rankings, begin the process of earning backlinks through providing interesting or educational content. An inbound marketer’s goal of having your content appear on other sites is to expose your brand to a new audience and build on the authority of your site. Before sending any content to other sites, review guidelines for contributor or guest posts to make sure they will allow you to post links to your site. You should also read examples of published content on the site to make sure it fits your audience and brand style or personality. You also want to confirm they don't cover topics or content you want to steer away from. Once you find websites that are similar or relevant to your own, pitch ideas for content or submit completed guest posts. Ideally, your published post will increase referral traffic to your site and grow your reputation as a trustworthy site among a new audience, who could eventually become your next leads or new customers. Media partnerships are a great way to syndicate or provide content to other sites without going through the entire process of pitching content. However, these partnerships can take months or even years to build. High authority sites like MSN that syndicate content want to know that the content they receive is trustworthy, authoritative, and traffic-driving – the same qualities as the sites you want to be published on. Contact the head of media partnerships. Explain what your company does and how they can benefit from developing a syndication partnership and publishing your content. Be prepared to provide examples of your content and any metrics surrounding it, such as high traffic volumes, backlinks or mentions from authoritative sites, etc. If you get rejected or don’t hear back, don’t be discouraged. Media partnerships are tough to establish. But once you do, it presents more opportunities for exposure to a greater number of sites and readers that will make your work worth it. Public relations (PR) is an important part of your link building strategy. And tools like HARO are vital to effective PR campaigns. HARO stands for "help a reporter out." It's a free service you can sign up for to connect with a lot of sources, like fellow bloggers and journalists. Top media outlets, including Time, Wall Street Journal, and the Chicago Tribune, use HARO to gain expert insights from people like you. HARO seems intimidating, but the process is rather straightforward. First, simply register through the website. Once you confirm your registration, start monitoring your inbox for requests from journalists and bloggers. When you find requests that fall in your industry and level of expertise, you can directly send content that is informative. Essentially, you're pitching to the source, answering the questions they asked. This helps you build backlinks because you provide a bio with your information on it. When sources use your expertise, you can start driving more traffic to your site. But keep in mind – as with any strategy in marketing – this will take a lot of time. You will start building relationships and developing a reputation as an expert. Stay patient and consistently deliver value. Text-based content is sufficient for generating backlinks, but if you really want to up your external links, make visual content like infographics and videos. Infographics are 30 times more likely to be viewed than a text article, according HubSpot's research. Not only is dynamic media more popular and can communicate your info and brand message more effectively than plain text; it can increase traffic significantly. The same HubSpot graphic noted traffic increases 12% faster for publishers that have infographics compared to ones that don’t. They are great for growing referral traffic. Utilize your existing resources for making graphics. Tools like Photoshop and Illustrator or free tools like Canva are intuitive to use and include infographic templates to get started. There are both free features and paid press release distribution packages available. 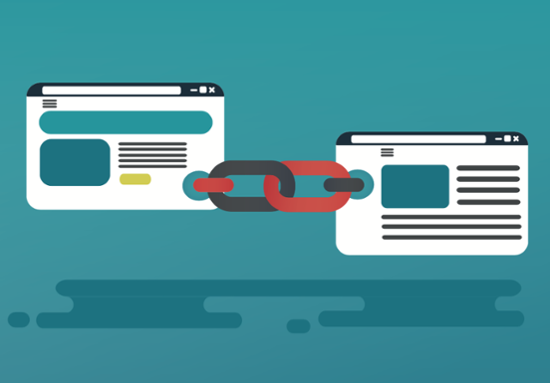 Although press release sites may restrict distribution for free packages, they can still be a useful tool to provide backlinks on search engines and news websites to bring in referral traffic. If you have the budget for it, paid press release distribution packages will be more powerful in generating backlinks. They generally grant access to industry distribution channels and websites and even high authority or premium websites like Yahoo News and newspapers. To bypass the costs of using a press release site, you can also build your own list of newspaper reporters, media heads, and more and their contact info. Once you have your press release written, send out an email blast to your list with the content text and contact info for your own PR or media person. In addition to reporters and media writing about your content, you can increase your chances for more backlinks by offering up interviews with your brand’s executives or subject matter experts for even more press exposure. One reason to regularly track mentions of your brand is to ensure that they link back to your site. Not all websites will provide backlinks when referring to you, making you miss out on crucial links. Use RSS feed services like Google News to monitor which sites mention your blogs, studies, or other content. You can also set up an email alert for keywords (such as the name of your site, your products or services, or other phrases that describe your company) to track news and releases. If you find other sites that do not link back to you, contact the writer of the article, the head of PR/media, or even the webmaster of the referring site. If you follow the tips above, you want to be certain your backlinks are producing the outcomes you want, especially increasing traffic and page ranking authority. This is where analytics comes into play and why you want an SEO tool with a backlink checker. 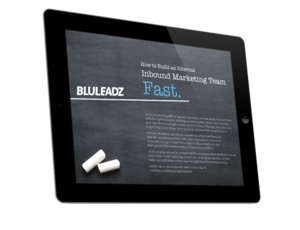 After you know how much traffic your piece is bringing in, you can analyze the cost-effectiveness of this content so you can improve your inbound marketing strategy in the future. If the piece did not generate revenue that exceeded its cost, you should rethink your topics, keywords, or your distribution channels. Monitoring your backlinks on a frequent basis will help you stay on top of your site’s traffic growth. In the event you notice declines in traffic, SEO tools with backlink checkers can alert you when and where you are losing backlinks so you can attempt to retain these links or explore content new opportunities to replace the traffic losses. With these tips in mind, you're ready to take your link building strategy to the next level. Speaking of Websites, How is Yours Looking?